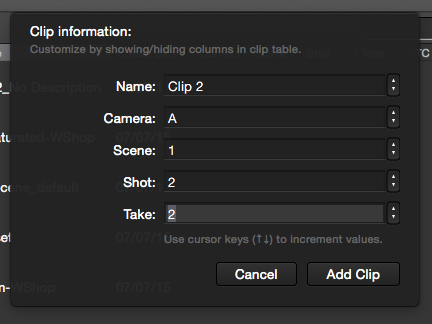 Clips: movie recordings with metadata and a look applied. Stills: still images with a look applied. Read more about Linked Looks in the article Linked Looks. «New Still» will duplicate the metadata of the current clip while adding a new still image. Can be used to create a new look with the same source image. Additionally, you can import images from .JPEG, .TIFF and .DPX files. Still frames can also be imported from .MOV files. This way you can use them to create looks on your computer display or as a reference to compare against the live video signal. It is possible to enable/disable the forcing of the color profile to Rec.709 of the loaded images. 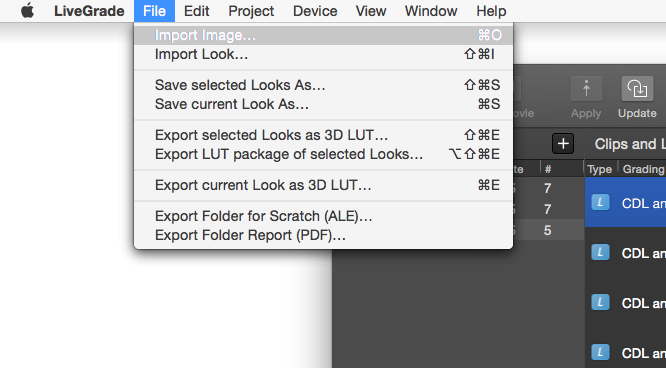 This setting tells LiveGrade not to use the embedded color profile of the imported images and use Rec.709 instead. You can modify this setting in Preferences>Advanced.